Scottie Thompson put on a show in front of his hometown fans in Davao Del Sur. 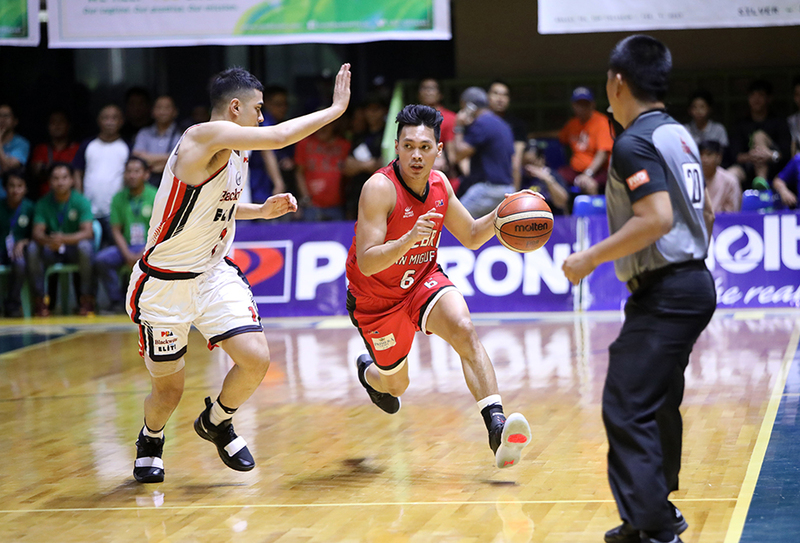 He was joined by the rest of the starters as Barangay Ginebra dominated the Blackwater Elite, 85-67. Ginebra won their second straight game to move up to 3-2. Blackwater drops to 1-5. Thompson had an all-around game with 16 points, 11 rebounds, six assists and two steals. Japeth Aguilar led Ginebra in scoring with 20 points. Aguilar’s partner in the paint, Greg Slaughter, added 17 points. The two combined for 15 rebounds. Mike DiGregorio and Joseph Eriobu paced the Elite with 14 points each. The Barangay took care of business with gritty offense and stifling defense. Ginebra shot only 40% in the game but made up for it by grabbing 20 offensive rebounds, which they converted to 18 second chance points. Ginebra also focused their attack in the paint, scoring 50 points from the shaded area. On defense, they limited Blackwater to just 30% shooting and forced them to commit 20 turnovers. Ginebra turned the tide midway through the first period. They fell behind by four points early in the game. But they closed the first quarter with a 14-2 run to build a double-digit lead. Slaughter sparked the run with back-to-back hits inside to tie the game. Jeff Chan and Kevin Ferrer then scored from the outside to take a five-point lead. Ferrer closed the run with a layup and a three-pointer, before Art Dela Cruz nailed scored inside to build a 10-point lead. Thompson made his presence felt in the second quarter. He grabbed an offensive rebound and scored inside. He then nailed back-to-back three-pointers to spark another run. Slaughter scored on an and-one play to increase the lead by 16. They took that lead all the way to halftime with Aguilar joining in on the scoring. Ginebra’s defense prevented the Elite from getting any closer. The Elite were able to cut the lead down to 13 points early in the second half. But that was the closest they’d get. Thompson, Slaughter and Aguilar teamed up to not only rebuild their 16-point lead but boost it even further up to 24 points, their biggest of the game. Ginebra cruised to the win after that.